San Ramon short sale experts have just closed another successful short sale for homeowners living in San Ramon at 3775 Crow Canyon Road, located in the beautiful Cobblestone Subdivision. This is a very nice area of San Ramon bordering Danville. This is a townhome consisting of two bedrooms, two and a half bath, lots of updates and 1,232 square feet. The owner had done a lot of updating to the unit including closets, tile floors, gotten rid of the popcorn ceilings, had done custom lighting, updated both bathrooms and everything like that, so it’s certainly a very nice property. Once he received word of his job transfer across Country, he realized he needed to do a short sale so he called the San Ramon short sale specialists at East Bay Short Sale Group to get his home sold. The seller had two loans with Chase Bank and were able to go ahead and get a price in there from the buyer that would allow the first to be paid off completely, and then just work to negotiate with a short sale situation on the second lender. So we were able to get this done, get this property sold for over market value in a fairly short period of time, for a short sale. The seller was very happy with the outcome of the closed short sale that the San Ramon short sale experts were able to provide for him. If you have any questions on how we can help you do a short sale, whether you live in San Ramon or whether you live somewhere else in the East Bay, including anywhere in Alameda or Contra Costa County, please let us know. We’d be happy to offer a free consultation to you. You can reach us at 925-567-6720 or on our website and we can schedule a free consultation. Lafayette short sale specialists are very excited to have another listing coming on the market this weekend. This property is located in a highly desirable community of Lafayette. It’s a single family residence located at 1986 Marion Court. This is a four bedroom, three bath. 3,040 square feet, very nice home. Located amongst a very elite properties on the same street as well as adjacent streets; homes that have been selling in the upper one millions, close to two million dollars. This home is 2 stories, has a 3 car garage and multiple decks with great views of Lafayette and the hillsides. Home needs a little work but can be a great opportunity to customize your own home and build a lot of equity in the process. The seller’s lender is Wells Fargo. We’re going to be listing this home for Lafayette short sale home for $1,050,000 coming up this weekend. So if you have any questions about being able to schedule a time to get in to see the property, feel free to let us know. We’ll be happy to schedule a time to get you in. You can reach us at www.eastbayshortsalegroup.com. So again, if you have any interest in this particular property feel free to let us know, we’d be happy to get you in, do a free preview. If you already have an agent, please let your agent know about this property so they can go ahead and get you shown, get you in the property as well. If you live in Lafayette or any other city in the East Bay and are considering selling your home as a short sale please contact us for a no cost consultation. We are proud to have closed another listing located in Oakley, this one at 4736 La Vista Drive. This property is a very nice two-story, four-bedroom, three bath, 2,065 square feet located in the community of Holly Creek. Very nice home. This particular Oakley seller was not in a short sell situation as they did not owe more than the property is worth, but there was a notice of default on the property so their property was going through the foreclosure process and it was a trustee sale. So we had to work with the attorneys on this, and be able to get a list price approved for the particular property and have the seller represent the deceased in this particular property. We were able to get this thing done and closed, able to get the seller more than $15,000 over what we anticipated the list price would be. Obviously a very happy seller. They’ve made some money, been able to move on, and get things moving forward. 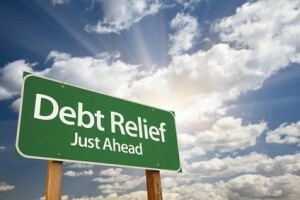 So if you have any questions on how we can help you, whether the property is in a probate type of situation, whether it’s in a short sale type of situation, or even if you’re delinquent on the payments and are unable to continue to make payments but have equity in the property, we can certainly help you find some solutions and offer a free consultation. We service all of theEastBay, including all of Contra Costa andAlamedaCounties, and we’d be happy to offer a free consultation to you. You can reach us for more information on selling your Oakley or East Bay home as a short sale, contact us at East Bay Short Sale Group or call us at 925-567-6720. 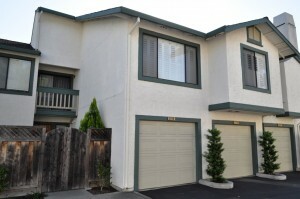 Dublin CA short sale townhome just closed, located at 4187 Clarinbridge Circle. 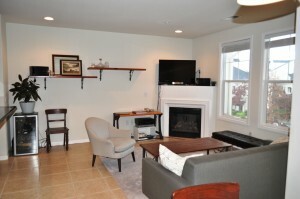 This is a very nice newer townhome community located in The Villas. 289 total units in the area surrounded by shopping, new development, the freeways very close, parks really close, real nice neighborhood. The Dublin CA short sake seller on this particular property had two loans. The first one was with Ocwen which is taking over a large portfolio of some other larger banks. And then there was also a second with SPS. We were able to successfully get this property submitted over to the lender, get a great offer over to them. Actually in this type of situation, it was the tenant who wanted to purchase the property, so we got them pre-qualified first, got an offer over to the sellers lenders and were able to get that secured and closed. This is a two bedroom, two and a half bath, 1,401 square feet, and we closed right around $425,000. 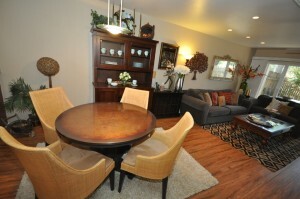 This Dublin CA short sale townhome is 3 levels including underground parking and guest parking. If you have any questions about how a Dublin short sale works for you whether you’re a seller considering a short sale, somewhere in the East Bay, we service all of Alameda and Contra Costa County. Or conversely, if you’re a buyer looking to purchase a property as a short sale and you want some help from the experts, we understand both side of the coin when it comes down to short sales. So feel free to let us know, you can reach us at East Bay Short Sale Group. 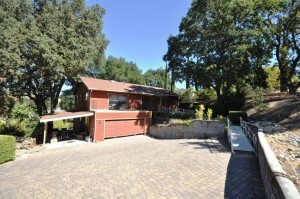 San Leandro short sale specialists have listed another home for sale in San Ramon. This home is a regular sale, not a short sale, so it can close quickly and will not require any bank approval for sale. This property is located at 16075 Carolyn St in San Leandro, right off of the 580 Freeway. Great access property. Home is a 2 bedroom, 1 bath with a non-permitted converted garage. . Per public records it has 1,233 square feet. The previous owner went ahead and had redone the garage. They did it without permits, but it’s certainly up to code and everything looks great. So this has added additional square footage to the property, which is not reflected in the public records square footage. Home is again 1,233 square feet. This has some nice views of San Leandro and a very large yard. It’s certainly close to the freeway, so you’ve got great easy access. The property we’re going to list at $325,000, and at this price it will be a regular sale, not a short sale. So feel free to come by, give us some offers, and anything less than the $325,000 is likely to be a short sale, which of course the seller would prefer to avoid a short sale if possible. But based on market costs we can certainly ask for $325,000 and get a great home for that price. So if you have any questions on this particular property or if you’re interested in looking at San Leandro short sale properties we may have available or coming up, or if you’re looking to potentially do a short sale on your own home anywhere in the East Bay, feel free to let us know. We’d love to have a free consultation with you. You can reach us at www.EastBayShortSaleGroup.com. 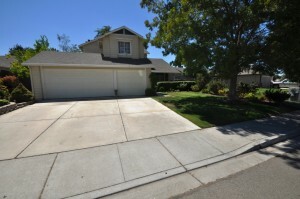 Oakley short sale just listed on the market by East Bay Short Sale Group. This Oakley short sale is a detached home located at 4736 La Vista Drive in Oakley. This property actually is not a short sale. There is a notice of default that’s filed on the property; however, this is a probate sale. If you’re not familiar how that works, you can certainly contact us. We can tell you a little bit more about how that works. This probate sale does not require court confirmation and can close very quickly, unlike a regular short sale which can take much longer. The short sale address is 4736 La Vista Drive in Oakley. This is a 4-bedroom, 3-bath, 2,065 square feet, located in a real nice community called Holly Creek. Lots of updates: The kitchen has been completely updated. There are hardwood floors throughout most of the home. Great condition home, nice private backyard. Somebody who gets in here is going to get a really nice deal. We’ve got this listed at $320,000. It is a probate sale; however, there is no court confirmation required, so this will not be drawn out. If you put in an offer, we can get this thing closed pretty quickly, within 30 days or however quickly your lender can finance it and get it closed. 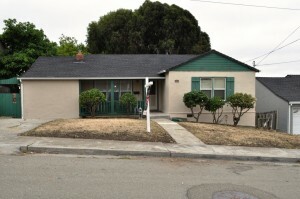 If you have any questions on this property or any other Oakley short sale, feel free to contact us at www.EastBayShortSaleGroup.com. If you want to talk about potentially selling your property, whether it’s a regular sale, whether it’s a short sale, anything like that, feel free to let us know. We’d be happy to help. We are the East Bay experts at short sales. Walnut Creek short sale specialists at East Bay Short Sale Group are proud to announce another short sale listing located at 311 Master’s Ct. #3 in Walnut Creek. This is located at Club Villas, which is right off of March Banks, right near Diablo Hills Golf Course, the 9-hole golf course in Heather Farms Park; fantastic location. This is the area where they took a lot of the existing apartments over the past 5 or 6 years, have converted those over to real nice condos. 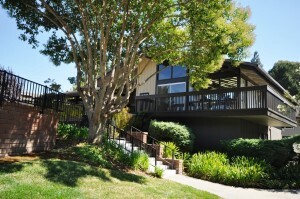 Great location in Walnut Creek not far from downtown, and close to businesses and restaurants, shopping, and more. This Walnut Creek short sale condo is a 2-bedroom, 1-bath upstairs unit, overlooks the pool right next to the clubhouse. Fantastic location, it doesn’t get much better than this. The home is pretty much ready to go. It may need new carpet, but the kitchen is completely updated with granite and wood. All it should need is some new carpet and touch up paint. Really nice home. 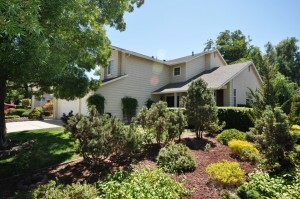 We’re going to be listing this Walnut Creek short sale at $298,000. This particular community, because of the number of owner-occupied properties that they have, they have a low percentage of owner-occupied properties in the community, so most lenders will not lend in this community. Keep in mind if you’re interested in this particular unit or this community, there are a lot of lending restrictions in there, and we certainly would prefer cash offers on this short sale. We have one lender on this Walnut Creek short sale; it’s Ocwen Servicing, which we’ve worked with several times. They’re actually pretty easy to work with, they’re pretty quick. If you’ve thought about investing in Walnut Creek to get a great 2-bedroom condo, this is going to be a great opportunity under $300,000. Again, we’d prefer cash, but if you’d like to take a look at the property, feel free to let us know. If you’re a seller, a homeowner, who’s thinking about having to do a short sale, feel free to let us know, I’d be happy to have a free consultation with you; tell you about how the process works, what you can expect, and different things like that. Make sure that we answer all your questions.